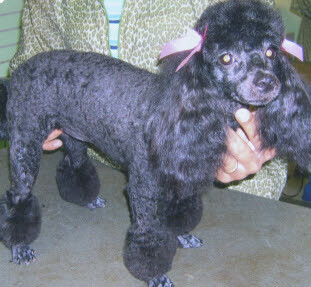 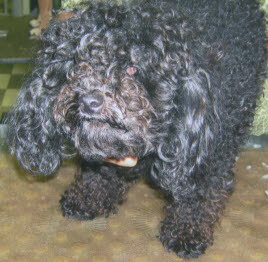 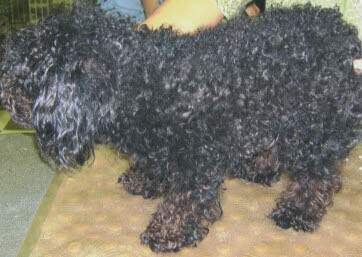 This is Lexi, a minature Poodle. 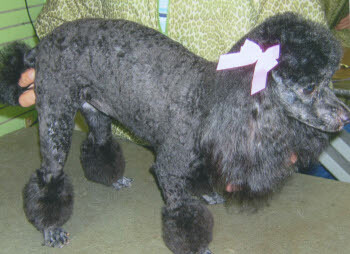 She is done in a bikini cut with pink bows. 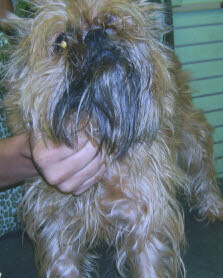 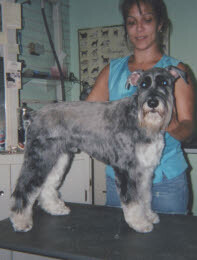 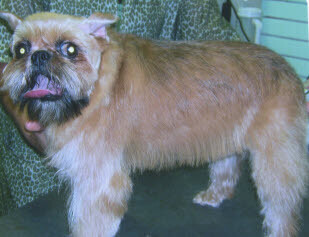 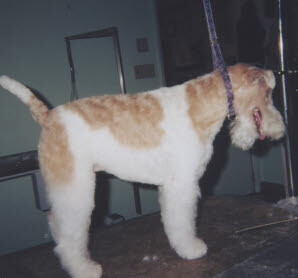 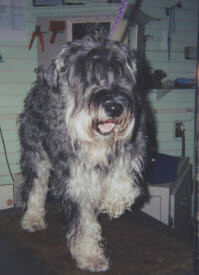 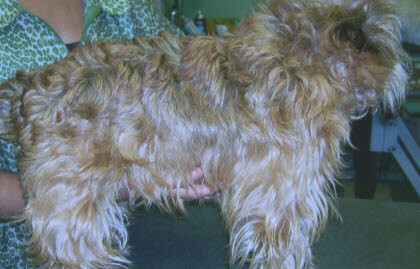 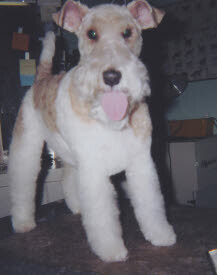 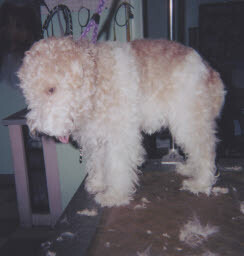 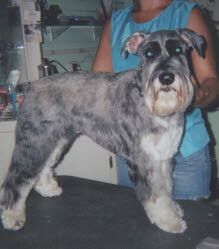 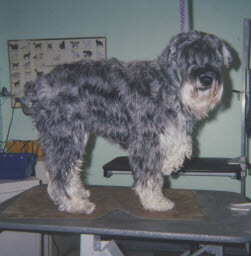 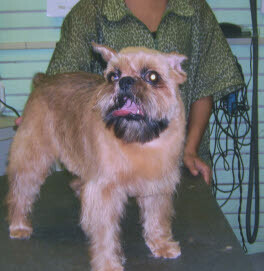 This is a Wire Fox Terrier. 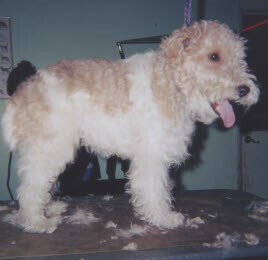 She got a handstrip style.